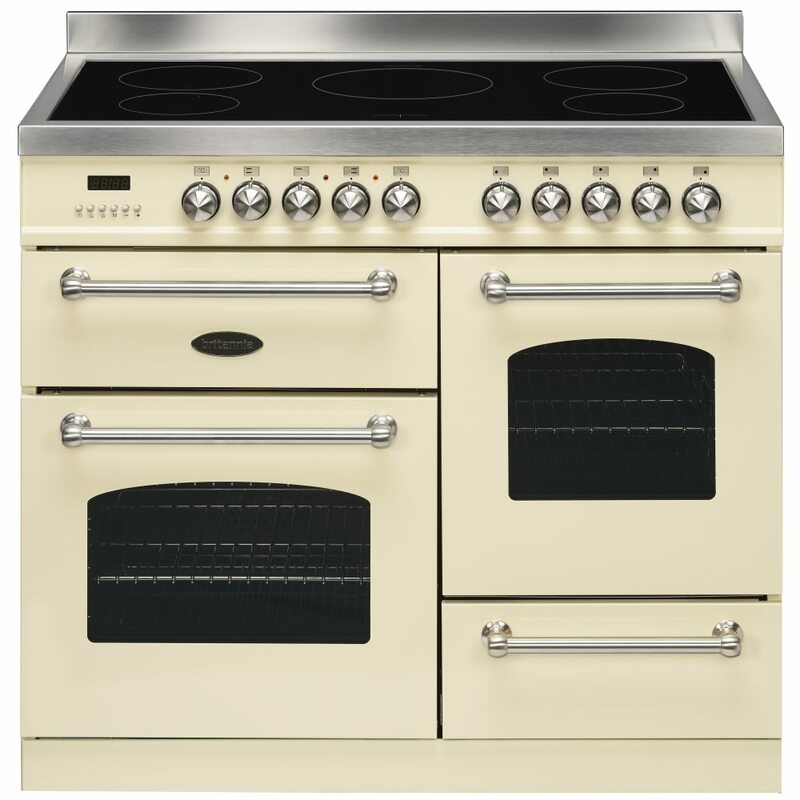 We love the graceful style of the Fleet range cookers from Britannia, and this 100cm wide XG model provides extra cooking options, without losing any of the character and charm of the design. Finished in cream, it has a warm and charismatic appeal, sure to make a cosy focal point in your kitchen. With a powerful and easy maintenance 5 zone induction hob top, you will be able to fit your pans on with no more juggling for space. There are two ovens and a separate grill offering plenty of room for all your cooking creations, and as the ovens offer multiple functions, you can select the best option for every meal, whether it’s fan assisted, Quick Start or even the rotisserie for evenly cooked and tender meats. There’s a useful storage drawer and great extra features like stay clean liners and telescopic runners, just to keep it hassle free.